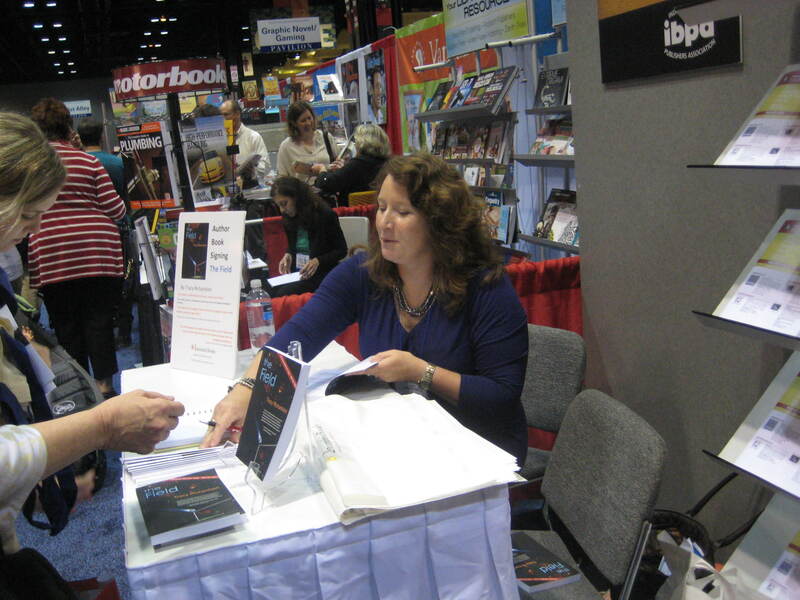 This past weekend at was at the American Library Association conference in Chicago signing books and meeting librarians. 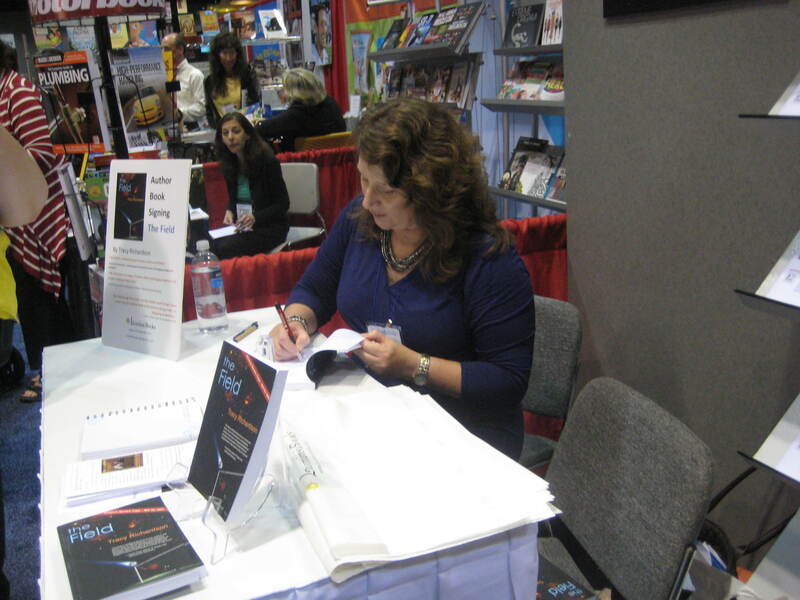 Rita Kohn of NUVO Newsweekly said in a review of THE FIELD that will run this summer “Tracy Richardson is a worthy heir to Madeleine L’Engle”. WOW!!! Is it hubris of me to call THE FIELD, “A Wrinkle In Time for the 21st century?” It certainly got the attention of the librarians. 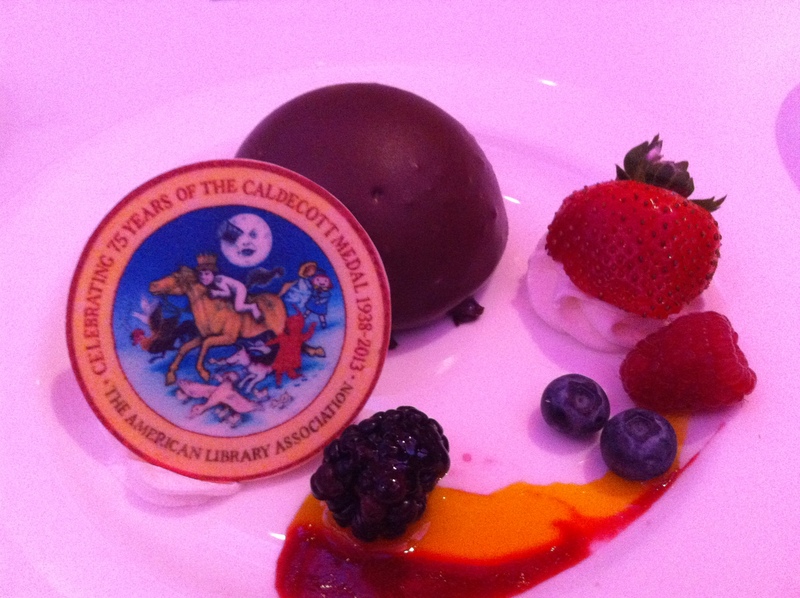 I also attended the Newbery Caldecott Wilder awards dinner. This is my beautiful dessert with a white chocolate wafer displaying the artwork for the evening. And, yes, I ate it. It was delicious! The speeches by Jon Klassen (Caldecott winner for This Is Not My Hat) and Katherine Applegate (Newbery winner for The One and Only Ivan) were funny and touching and self-deprecating. 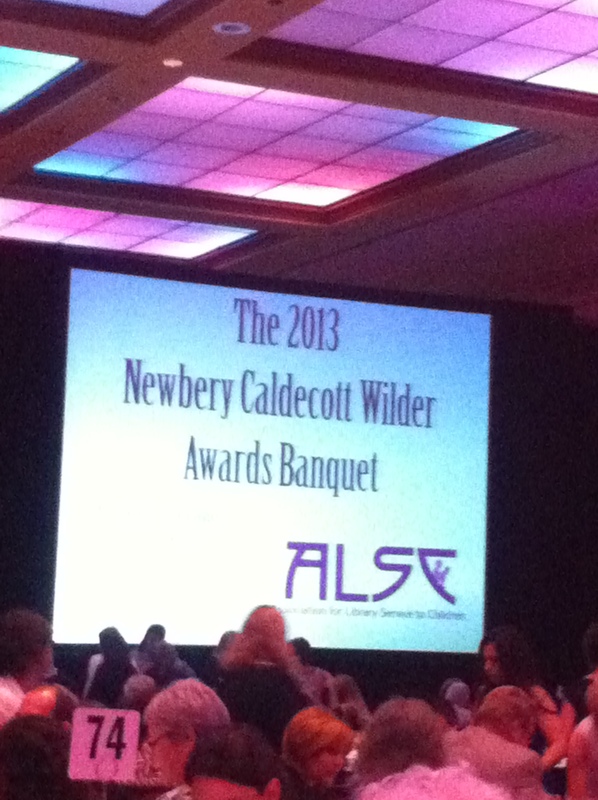 I couldn’t stay to hear Katherine Patterson’s speech for winning the Wilder award. 🙁 I had to catch the Red Line subway back to Rogers’ Park to my brother’s house where I was staying. Riding the ‘L’ (for elevated train) in Chicago is interesting to say the least. The Gay Pride parade had been held that day and there was no shortage of supporters wearing rainbows in new and unusual ways. A real slice of life. There was also some sort-of girl fight going on further down the platform and while I was very curious, (purely from a writer’s point of view) I had enough sense not to investigate.